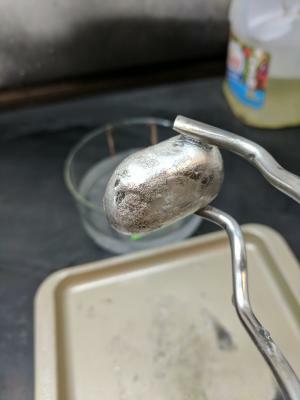 University of Colorado Boulder engineers have revamped a World War II-era process for making magnesium that requires half the energy and produces a fraction of the pollution compared to today’s leading methods. The breakthrough process, developed in the labs of Professor Alan Weimer, could vastly improve production of the strong, lightweight metal that’s used in everything from vehicles and aircraft to dietary supplements and fireworks. A few different methods currently exist for creating magnesium metal, but the most common one takes ore from the ground, combines it with expensive silicon and uses extremely high heat—around 1200 degrees Celsius—to create chemical reactions and extract the magnesium in small batches. The Advanced Research Projects Agency-Energy, a division of the U.S. Department of Energy, provided the $3.6 million grant to Weimer’s lab that funded the preliminary research. But the BBT founders believe this new process could change the equation and they’ve secured almost a half-million dollars so far from backers who agree, Palumbo said. That includes a $225,000 seed grant from the National Science Foundation’s Small Business Technology Transfer program. Early this year, the fledgling company formed a partnership with Nevada Clean Magnesium, a publicly traded company, to further develop, test and improve the production method. Big Blue Technologies also won the “Most Impact” award at the Cleantech Open Global Forum in February, the culmination of a yearlong accelerator for early-stage clean technology startups. They also graduated from Catalyze CU, the university’s startup accelerator, in 2015. Big Blue’s startup environment is decidedly hands-on. The researchers’ basement lab is filled with ultra-hot furnaces and they often end the day with hands covered in grease and grime. But the trio is excited by the possibilities the technology holds.